Now, Sam was only able to get 3.5 weeks holiday. A bit short for a propper bike trip. So we decided, that Shoam and me, would leave 2 weeks earlier, cycle all the way to the Myvatn and meet her there (she would take the bus from Reykjavik), to continue our holiday together. My parents were planning to join us at the same time. 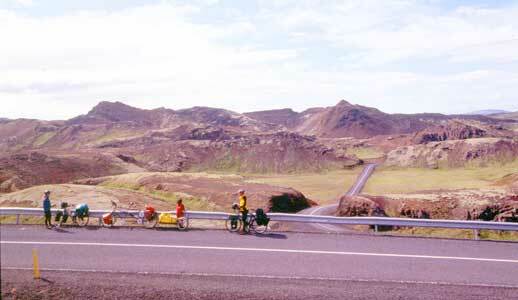 we should learn a lesson about Icelandic road building. If there is a hill, the road will go straight over it. And this road had a small mountain range! 15% up and down for about 5 - 10 times (I gave up counting). 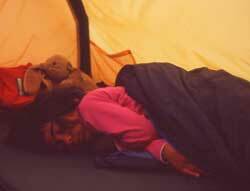 When we finally managed to reach the lake, we were so exhausted, that we pitched the tent at the first little river and fell to bed. 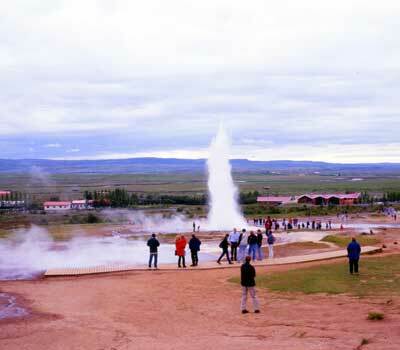 Geysir on the next day. 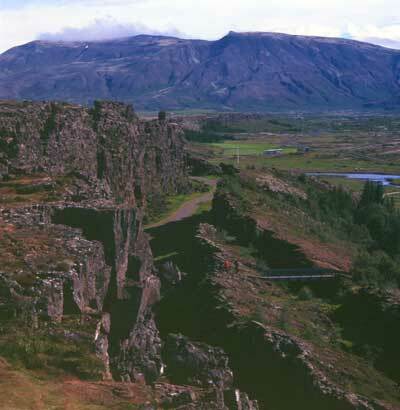 An other big touri - attraction in Iceland. I had seen it over 20 years ago and although the masses of tourists were a bit disturbing, the Geysir still has the old magic in it. Deep down the water is heated to a temperature of over 250°C, the water unable to boil because of the pressure from above. Finally the pressure is so big, that it pushes the water column above up to 50m in the air. While for most of us, it seems to be enough to take a photo, or like me try to capture the moment in insufficient words, Shoam showed me the 'Geysir dance'. What better way is there, to describe motion, than with motion? And where is our childhood gone? Just 10km to the north, the next big tourist attraction. 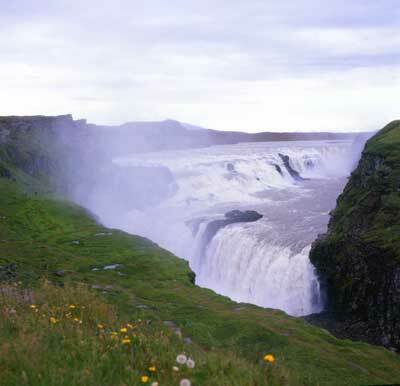 Most travel here, to complete the 'Golden Circle' (Reykyavik, Thingvellir, Geysir, Gulfoss). All in one day, every stop for just an hour or so. We were a bit in a rush as well, Shoam tired from a day of cycling (and dancing) and me disappointed by the overcast weather, we left after the obligatory walks to start the Kjöllur route.